Search for Top 150 Players All Time...Ends wirh 177! 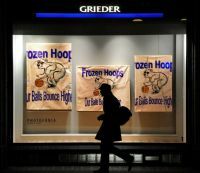 Frozen Hoops: We understand that you did not even play high school hoops yet you ended up playing at the top levels of the game? Is this true? Pascal Fleury: Yes…I did not play high school basketball since I start playing as a 17 year-old in a Montreal suburb in 1987. I played at Dawson College in Montreal a powerhouse in College level in Canada. It was my first years in basketball, so at that time I did not have much impact on the game but I remember doing one play and at that time. I was wearing goggles and they were tilted in my face and the people instead of clapping they were laughing at the action. Maybe it was a preview for the Harlem Globetrotters. I also remember when Georgetown assistant Craig Eisherick came to scout me and that after every action I was doing, I felt that the people in the gym were looking at what he was noting in his book. For that game I did not wear my goggles so I did not see him but by the look of people I knew in which area he sat. FH: You sign on with Georgetown with a team featuring Alonzo Mourning, Robert Churchwell and Joey Brown. What was the Hoyas experience like? PF : There is so many cause that is where I really became a man. I had left my family, had to learn a new language, a new culture, and play against future all-stars on a daily basis. On my first day Patrick Ewing was there, so I did some drill with him, it was in the afternoon. Later at night while walking downtown to discover the city a brand new white BMW honk sat me and I’m like, Its not for me I don’t know anybody here. Indeed it was Patrick Ewing with his son saying hello. He was calling me Pascual like Pascual Perez who was playing for the (Montreal) Expos at that time. On the court I guess it was playing in the NCAA Tournament against UNLV who was winning by 35 points on average. Larry Johnson got the ball twice in the low post one-on-one against me and he kicked it out. We ended up losing that game after Alonzo Mourning fifth foul. It was a tremendous atmosphere in Tucson, Arizona. I ended up with one rebound and oneblocked shot on Elmer Spencer. FH : After two years at Georgetown averaging under one point a game, you transferred to Maryland-PF Baltimore Count. What were the highlights there ? PF: It was tough because I had to sit out one year so I was very impatient to play my first game. In the fall 1993, I was ready to start playing my first game when I got hurt trying to block a shot. I fell face first landing on my right wrist than elbow than left wrist. I ended up with a broken right elbow and wrist and a stress fracture to my left wrist. The diagnosis was six weeks out and the season started in five weeks. I was pissed off and I told all my friends and family I would play the first game whatever it takes. I did physiotherapy twice a day, ran in water for the cardio so I was ready to come back, I was making all the effort necessary. Three days before the first game I see the doctor for a diagnosis and he said "Don’t take a risk…this game is not important, you are not playing." I don’t need to tell you that I was livid, I called my dad and I was fuming. That game was against Maryland who had beat Georgetown the day before, so don’t need to tell you the hype I had. Finally they let me play, in case of emergency. In the player introduction, when they introduce me and the 14,000 fans start singing - "Georgetown Reject". After five minutes both of our big men have two fouls and we are down 17-5. So it’s my time, one of the first actions out, an out-of-bound play, I catch the ball and dunk on "Joe Smith the future number pick in the NBA". After the game, Gary Williams, Maryland’s coach says in the Washington Post, Pascal Fleury will make money one-day playing basketball. FH: As a member of the Canadian national team what was the highlights? PF: I don’t have an event that really stands out but having the Canadian national anthem played for the first time with the uniform on was big. Also being name to the All Star team in the Jones Cup tournament in 1995 after I was cut from the junior team and winning the Jones Cup tournament in 1996. Playing with Steve Nash and see his work ethic and seriousness was also great. FH: As Gary William’s predicted you are now making a living playing professional basketball. How has that worked out? PF: My first pro contract was with the Harlem Globetrotters where I played in 18 countries with the highlight being in South Africa. There we meet Nelson Mendela and the experience with the people was outstanding. I then got a contract in Bolivia (La Paz) where we won the National Championship. After I played in Taiwan for five weeks, but it was terrible because of the adaptation in a society where I was a total opposite. Then I stayed home for five months to end up in Puerto Rico where it was the best level I played. I got Defensive Player of the Year. It was strange because my first club cut me at the all-star break even thought I was their only player present. Right afterwards, I sign with Columbia in September 1998 where I played for two months but I got hurt on my back and my knee so thee release me. I head back home in November 1998. I then received a call from Puerto Rico (winter league with one import) as soon as I got home and I left even if I was still hurt. I stayed two weeks before my knee started acting up (tore meniscus). In December 1998 I went back home and did not get a pro contract until July 1999 because of my knee. I got a brief contract in Venezuela for two weeks but my knee acted up again. I tore my patella tendon and tore my meniscus, so I was away from the professional world for almost a year-and-a half. What I am the most proud of in my career is that period of time. A doctor made me understand that I should stop because of my condition and I was able, by myself, to come back to the in first place on the National team with a new coach (Jay Triano) and was able to make it back to the professional world. After the National team I played in Puerto Rico on the same team and almost got Defensive Player of the Year once more even if I had only played half a season. Then I went to Lebanon… and got hurt on my knee again after a month. 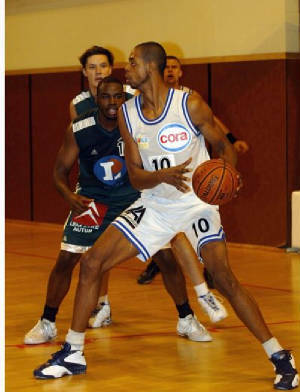 That was in October 1999 and I got my first contract in Europe in Bondy (Pro B) where I played for two years. I also met my wife there and we got our first kid. Then I then signed in Switzerland…a big catastrophe. Only two or three professionals allowed per team and the rest of the players are 9-to-5 workers and come to practice after work. Many of them don’t even get paid. The only positive side to that is that it allowed me to get my French passport quicker. So in February I sign in Nantes for half-a-season. After that season nobody was knocking at the door so I came back to Canada trying to get a job until October and I got a call. So I play in Evreux for the remaining of the season. Since then I am in Charleville-Mezieres who was in a N1 last season but we moved up this year in Pro B where I play the rest of the time. FH: With your globetrotting travels who are the best players you have come up against? PF: I would say Alonzo Mourning, I had a chance to be his teammate for two years and I can say intensity, hard work and a little bit of genetics, Patrick Ewing is not far behind. I also played against Kareem Abdul-Jabbar when he was 44 years old and I can say he would still be able to contribute to a NBA team. FH: Why do you think a semi-pro or minor basketball league in Canada has not made it? PF: Personally I think it is due mainly to the fact that the generation that like the game (25-and-under) do not have enough money to invest in it. 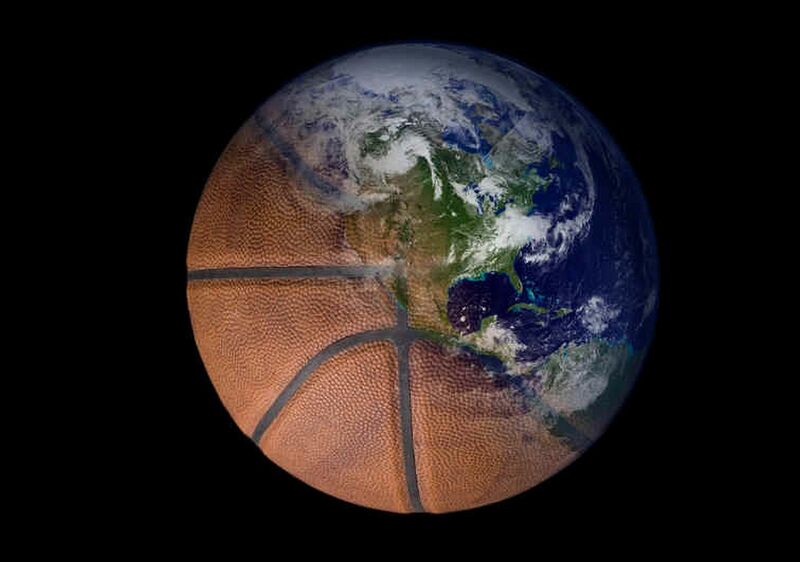 Canada is mainly a Hockey country and the people are slowly learning about basketball. In 20 years I think it would be possible. The Raptors without Carter are maybe destined to be like the Vancouver Grizzlies if they don’t get a superstar within a near future. Canada is more cultural country than a sport country. Athletes that make it in the sport venue are hard working and are willing to expatriate themselves. A big example is in The Olympics; we have lots of good athletes but it is hard to make it because of the installations and the coaching revenues. The sport in Canada is not a priority. A country like Australia has less population but the government decides to invest more money in sports and since than they became a country to reckon with in major sports. Last example, Canada is the only country in Sydney and Greek world Championship to be present without having a league in the country. FH: What are you goals in the sport of basketball? PF: Since I am 34, at the most I have got two years left. My goal now is to pass on my knowledge to the up-and-coming kids. I am preparing my next move in coaching and teaching. Probably in Canada. FH: Describe what kind of player you are? PF: I would describe myself mainly as a defensive player. A rebounder. A shot blocker. Ever since I start playing, that is what I have been doing the best. In my whole career since university I think I have scored 20 or more points probably only five times in an official games. But I have blocked more than 10 shots more then 10 times. Offensively I have a nice hook shot and a little shot within 10 feet. I would say that my stats have been around 10 points 10 rebound and 2.5 blocks a game. I’m very good also as a leader because of my quality of communicator, my good mood and my numerous experiences. FH: What does it feel like to be mentioned as a possible selection as (Frozen Hoops) one of Canada's Top 100 basketball players of all time? PF: It is a great honor to be on the list with some outstanding players. Considering my goal as a kid was to hoist the Stanley Cup on my shoulder and that I started "successfully" playing basketball as a 17 year-old all the way up to the international level is good. To be truthful, it has not sunk in because I’m still in it and I did not realize all I’ve been through. FH : If you had to pick a Top 10 players of All Time who would be on it? PF : I haven’t played basketball that long in Canada and do not know much of the past, so my knowledge about all the guys is very limited. I will give you the top 10 according to what I know. Steve Nash, Jay Triano, Eli Pasquale, Micheal Meeks, Ron Putzi, Bill Wennington, Varouj, Leo Rautins and Rowan Barrett. 1995-96 : played with the Harlem Globetrotters. 1996-97 : La Paz, in the Bolivian Championship. 1997 Summer season : Titenes de Morovis (Puerto Rico). 1997-98 : Piratas de Bogota (Colombia). 1998, Summer season : Titanes de Morovis. 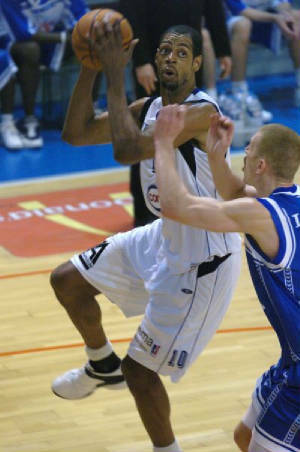 1999-00 and 2000-01: from November, with AS Bondy (French Pro B League). 2001-02 : Carouge Basket Club Geneve (Switzerland). In February to Hermine Nantes Atlantique (France - Pro B).